Semi conductive screened power cores cable with three pilot cores made for general purpose in slow reeling and trailing applications. 3.3/3.3 kV to 11/11 kV cables for use with draglines, shovels, excavators, wharf cranes, and materials handling equipment. 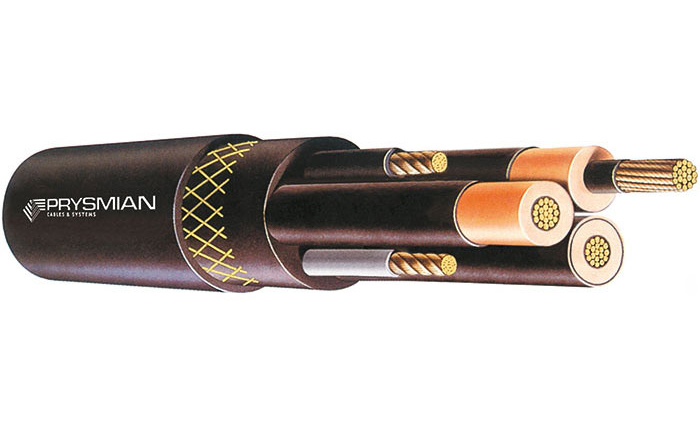 The cable is similar to Type 450 cables, without a composite insulation screen.